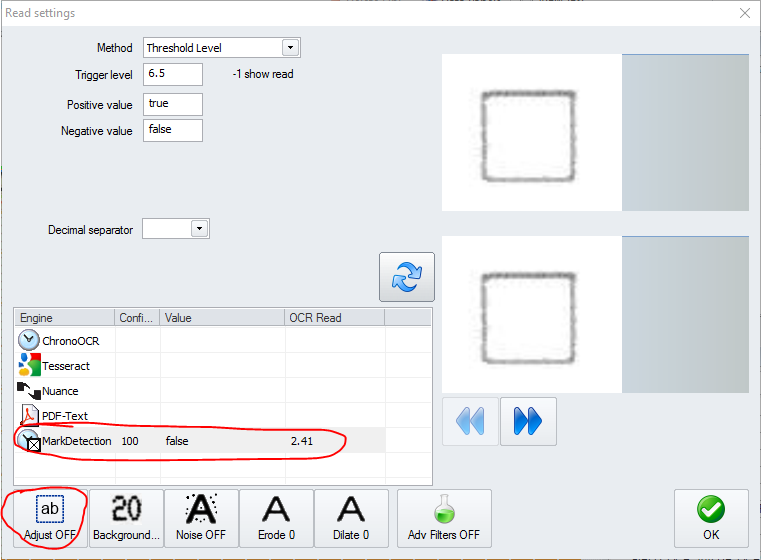 Checkbox detection can be included on your Job by using OCR Zones or Data Grids. On this article we will learn how to implement checkbox detection using a Data Grid. 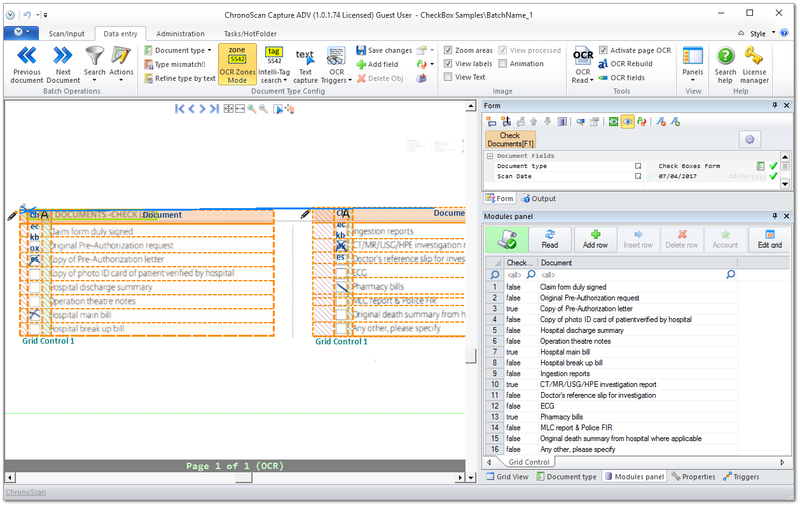 Enabling Grid Control 1 for checkbox detection. The Grid Control must be setup with at least two Data Fields. On the image above we have the fields "Checkboxes" and "Document". 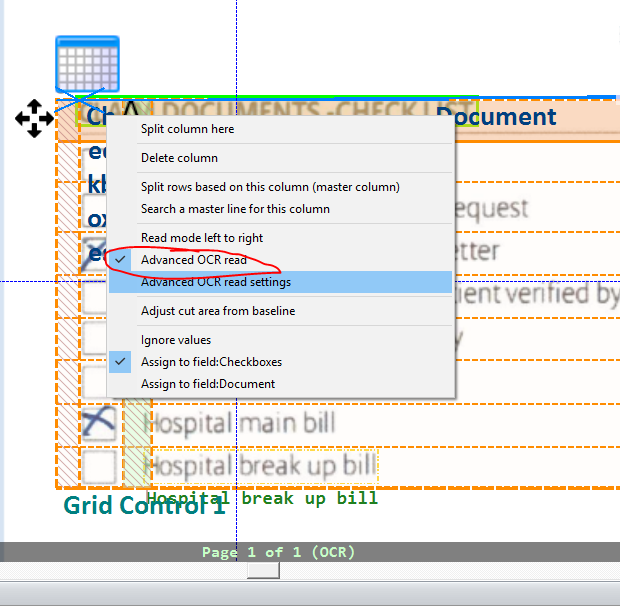 Two instances of Grid Control 1 were created to capture all of the desired checkboxes. The Checkbox field will be used to capture the checkboxes and the Document field will be used to capture the document name. 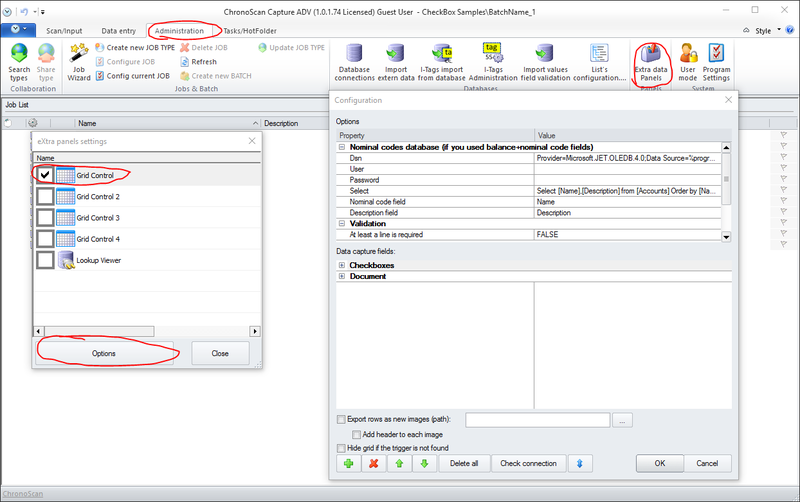 Make sure that Advanced OCR Read is turned on for the column that will be capturing the checkboxes. Make sure the columns that are capturing the checkboxes are using the MarkDetection OCR Engine and that the Adjust filter is set to OFF. The Mark Detection Engine can be set to Threshold Level or Entity Count. Both need a good sample size to provide always accurate results. Learn more about the Mark Detection Engine here. The Data capture by the Grid can be exported by enabling the Grid Control Module exports on your XML or TXT export module. The data can also be further processed before exporting by using a VBScript. 'check for cells set to "true"